VANL-CARFAC is the provincial affiliate of CARFAC National (Canadian Artists Representation/Le Front des artistes canadiens). All visual artists residing in Newfoundland and Labrador who wish to join CARFAC National must do so through VANL-CARFAC. Although once the case, VANL members may no longer opt out of membership in CARFAC. Membership in the National organization is included in the annual membership fee for VANL-CARFAC and is remitted on your behalf to the national organization. Canadian Artists Representation/Le front des artistes canadiens (CARFAC) is incorporated federally as a non-profit corporation that is the national voice of Canada’s professional visual artists. As a non-profit association and a National Art Service Organization, its mandate is to promote the visual arts in Canada, to promote a socio-economic climate that is conducive to the production of visual arts in Canada, and to conduct research and engage in public education for these purposes. CARFAC believes that artists, like professionals in other fields, should be paid for their work and share equitably in profits from their work. As the national voice of Canada’s professional visual artists, CARFAC defends artists’ economic and legal rights and educates the public on fair dealing with artists. In doing so, CARFAC promotes a socio-economic climate conducive to the production of visual arts. 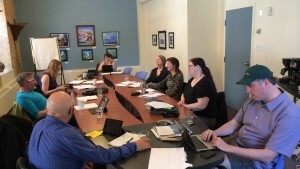 CARFAC engages actively in advocacy, lobbying, research and public education on behalf of artists in Canada. For more information on CARFAC National, visit www.carfac.ca (this site opens in a new window).